Social media is a marketing powerhouse that you just can’t ignore. Social media helps any sized business in all industries better target their audiences as well as showcase their expertise in ways that were not available to businesses, especially small businesses, in the past. Social media is not just about having and managing a ton of different social networks; it is about having a conversation with both your current and potential clients. This marketing medium is more personal than traditional advertising and marketing methods, and allows you to better understand the needs and desires of your target market. Social media can greatly benefit any industry and the interior design industry is no different. Social media has evolved to become quite visual with images, videos, etc making it the perfect outlet to showcase your interior designs and projects. The networks above are great outlets both visually for ideas and for sharing content. These are also some of the largest social networks, with the largest user base, making them a great place to start with your social media marketing. They say that in order for something to stick in a person’s mind, they have to see it 7 times. If all of your social networks, websites, blogs, and marketing materials broadcast the same message, you are well on your way to making your message stick. Now, let’s get into some of the major social networks and how they work to effectively market your interior design business online. What Is It: A website and online community about architecture, interior design, and decorating landscape design and home improvement. How It Works and Why Houzz is Great: The Houzz platform and mobile apps feature interior and exterior home photos, articles written by architects, interior designers and home design experts, product recommendations and a user forum. Find Local Pros: Search for local pros in your area. People searching for interior designers will search for you here. It is an easy way to look through portfolios, etc. This is why it is important to have a robust Houzz account. Users can view your ideabooks, projects, and the discussions where you have contributed your input. Discussions: Thought leadership is a great way of displaying your expertise in your field. Contributing articles, valuable commentary on industry blogs and websites ensures that your content/expertise is showcased in front of your target audience. What Is It: I’m sure most of you know what Facebook is, as well as Facebook Pages. Customer service: Let your clients ask you questions and contact you via Facebook. Most of your clients are on Facebook anyway; make it easy for them to interact and gain information from you. Showcasing your work: Posting photos of your work, as well as your inspiration is a great way to show your potential clients on Facebook what you are capable of. Make your content interesting. Share your blog posts, projects, before and after photos on your page. Engaging with your audience: Find out what your fans and followers are interested in. Spark engagement with questions, ideas, images, etc. If your fans find your content valuable, the more likely they are to share or engage with you. Tip: Ask people to engage with your page. Provide them with a call to action to get better results. What Is It: Twitter is a mini blog platform, encouraging conversation among its users; all within 160 characters. Finding people interested in Interior design as well as people looking for ideas. You can also find local interior designers. Keyword searches are the best way to do this. Search for keywords, such as interior design, remodel, etc. You will find people talking about your industry and find people to engage with and share your ideas, expertise, etc. Engaging with key influencers. An influencer is someone on Twitter that has many followers and is very active when speaking about your industry in the Twittersphere. The key is to get these people to retweet your designs, or share the content that you put out there. This will expand your reach to a completely new slew of audiences that you may not have been able to reach before. Sharing your knowledge and expertise in the area of interior design, as quickly as the ideas come to you. What Is It: Google+ is Google’s social network, and therefore ranks high in search engines. More and more people are joining Google+(approximately 359 million users and growing) and it is therefore an important network to be a part of. Why Google+ is Great: Although Google+ may not be as active as the other social networks, posts that you share or contribute to the network tend to rank highly since it’s associated with Google, so having a presence is important for your organic SEO. What Is It: Pinterest is an online pin board that you are able to post, share, and ‘pin’ pictures to an array of boards. **Pinterest has over 12 Million active users, and more than 70% of those users are female. If the 30-something females and moms are your target market, then Pinterest is where you want to be. Visually showcasing your work, projects, inspiration, and other cool things that you are interested in. Having others spread your work by Repinning allows it reach an audience further than just your own network. Tip: Make sure that all of your images have your logo on them, and are properly optimized. This way, anyone who admires your photo knows that it is your work, and can easily contact your business for more information. What Is It: If you have videos of your work such as time-lapses or informational YouTube is a great place to share these videos. **Tip: Optimize videos so that they can be found on YouTube. I wrote a blog a while back about optimizing your YouTube videos. Check it out on the GreenRope blog. What Is It: When it comes down to it, people want to know that the designer they are doing business with has a good reputation and a good rapport with past clients. This is where Yelp comes in. Yelp is an online review site that ranks high in search engines. Respond to negative reviews, so that potential clients know that you are an active participant. What Is It: LinkedIn is a social network geared towards professionals. It is used for professional networking, hiring, high-level discussions, and more. Connecting with other interior designers and professionals in your industry. Gaining and sharing expert advice. LinkedIn Groups, Discussions and Answers aims to facilitate the sharing of ideas and information among professionals. Again, this is a great place to showcase your knowledge in your field. Post discussions, comment on them, and demonstrate your expertise. SEO! LinkedIn profiles and business pages receive a high PageRank in Google, and is a great way to influence what people come across when searching for your business or industry. Promoting your content and blog. Anytime you post on your blog or website, make sure to share this on both your personal and business pages. Tip: You are now able to attach files to your posts. Make use of this, as this makes your content more valuable and interesting to potential readers and visitors of your page. What Is It: A blog is a MUST because it is the best way to show your personality and share your ideas. Blogging is great for building up your brand’s following. It allows you to demonstrate your leadership, rather than just talk about it. Blogs let you show your personality and your own opinions. They are a great way to promote your leadership, and lead rather than follow. Blogs let your clients get to know who you are before they call, email or hire your services. Blogging is great for SEO. Have you ever heard of content marketing? Blogging plays a major role in this type of marketing. Incorporating keywords into your posts better ensures that your posts rank higher in search engines. Build relationships with your clients with your blog. Blog posts are a way for you to ‘get personal’ with your audience. Not only are you exposing your products and services and gaining better visibility online, but also highlights your brand’s persona. As you can see, there are many avenues you can take with social media. Of course, the more the merrier, however, it is important to pinpoint which social networks are going to be best for your business. Social media needs to be consistent, so make sure that you are able to regularly update each of your social networks. Come up with a schedule that you will stick to. The key is quality over quantity. Content needs to be valuable and relevant, so that you keep your readers engaged and interested. The better your content is, the better your engagement. 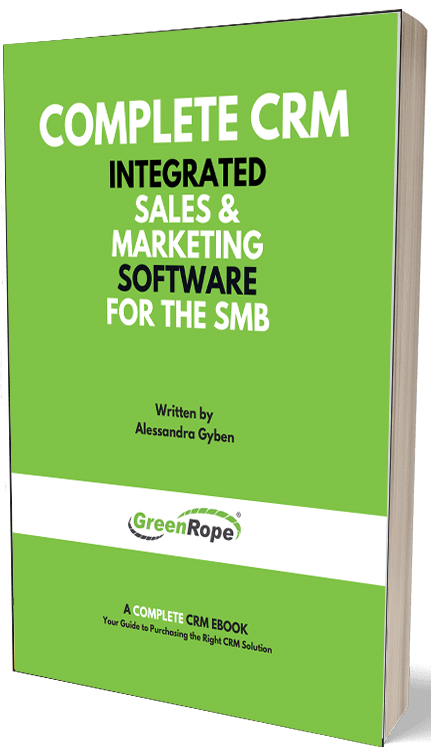 For more information about social media marketing, please attend one of our upcoming Social Media webinars, and sign up for our monthly GreenRope newsletter.